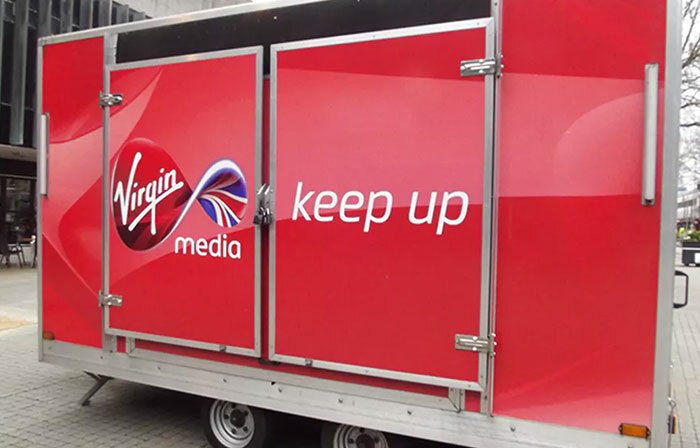 Virgin Media released its latest set of quarterly results earlier this week. Among the usual figures and charts some juicy information about the firm's upcoming plans was shared with investors. The most interesting thing coming up in the near future is that Virgin Media will be launching a new 500Mbps broadband service in spring. Additionally the firm teased that it would be rolling out 1Gbps services in two UK cities later in the year. Virgin Media's current top-end service is advertised as delivering 350Mbps downloads. In Virgin's latest quarterly results it was reported that 144,000 broadband customers were added in Q4 2018, and 481,000 for the whole of 2018. Meanwhile 78 per cent of the client base subscribes to 100+ Mbps speeds. Another highlight is that Virgin plans to extend its "speed leadership with spring launch of 500Mbps broadband in the U.K". Digging for further details, ISP Review has found out that 'spring' means sometime between April and May. The download speeds of new 500Mbps-down / 35Mbps-up customers will probably peak at 575Mbps, and the expected fastest upload speed attainable will be 38.5Mbps as Virgin Media over-provisions. In related news, Virgin Media aims to launch 1Gbps broadband services later this year in the UK. Again, ISP Review is on the case and explains that the new 'gigabit cities', promised by Virgin, will arrive thanks to a DOCSIS 3.1 network upgrade. The Virgin Media parent company has already rolled out similar updates in Germany and Poland. Apparently DOCSIS 3.1 is capable of peak downstream speeds of 10Gbps and uploads of 2Gbps in optimal conditions. Virgin is expected to target "two gigabit cities", with its eye on locations with plenty of large apartment buildings. A new router will be required for these 1Gbps+ services. Why is the upload so bad? to encourage work-at-home people to get business packages which have more symmetrical bandwidth allowances. And yet the wifi on the VM router will struggle to pump a signal 20ft.